Montana Fly Fishing Rates | Montana Fishing Co.
Montana Fishing Company offers wade trips in Missoula, Montana, Craig, Montana, Bozeman, Montana, and Ennis, Montana area rivers including the Blackfoot River, Clark Fork River, Bitterroot River, Upper Rock Creek, Missouri River, Madison River, and Yellowstone River. We also take you to other locations that are off the beaten path referred to as RIVER-X.! We provide all the equipment to get the job done including Flies tippet leaders and fly rods! Our Montana Fly Fishing Guides know how to pace your group so everyone has a fun and safe day on the water! 2 Anglers- $495.00 $100.00 per additional angler on all wade trips; limit 4 anglers per guide. $100.00 per additional angler on all wade trips; limit 4 anglers per guide. A full day float trip with Montana Fishing Company starts with your professional guide meeting you at your choice of location. 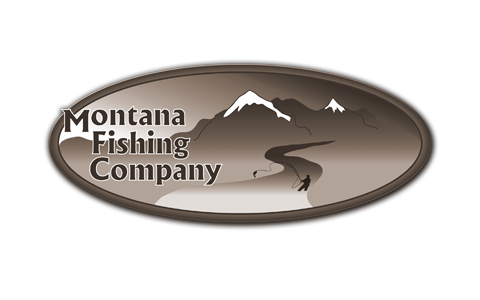 Montana Fishing Company offers all the equipment to get the job done. Our professional guides will offer instruction based on your ability. Our riverside lunches range in variety from grilled, gluten free, vegetarian etc…Transportation to and from the river is provided. Montana fishing license should be purchased ahead of time so we can spend as much time fly fishing Montana’s world famous rivers. The Montana Fishing Tour is the best bang for the buck. We offer five days of float fishing on five of Montana’s best Blue Ribbon streams for $3950.00 per angler. The limit is 6 anglers or three boats. We are unable to provide alcoholic beverages, a Montana fishing license, and gratuity. A deposit of 50% is required per guide day when you book your trip with Montana Fishing Company. Your deposit is refundable in full if the trip is cancelled 30 days prior to the date scheduled. If the trip is cancelled within the 30 day period, then deposit may be applied to a trip booked within one year of the original booking. Full payment is required on the first day of the trip.